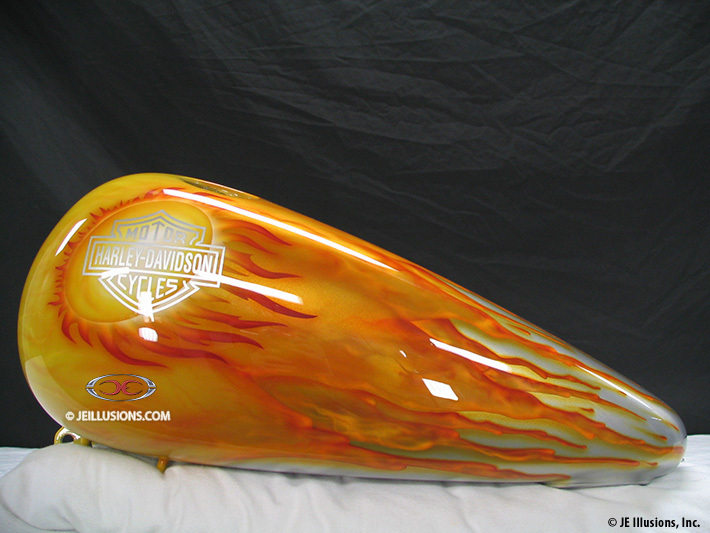 This design starts with a beautiful under-base done all in silver. 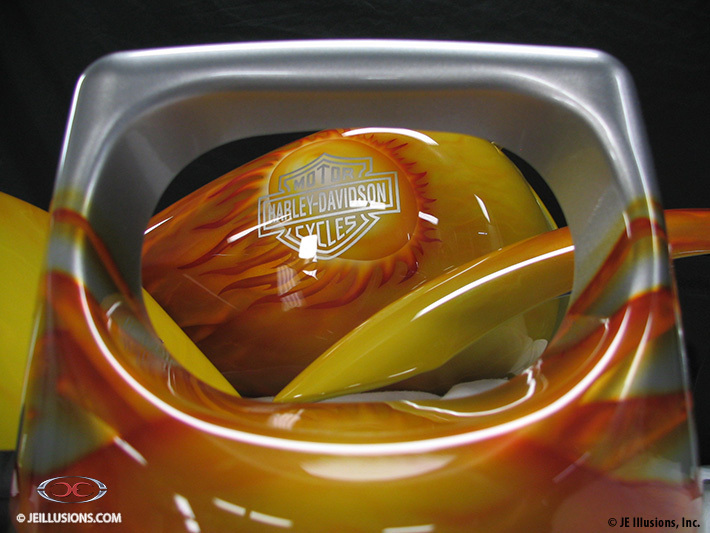 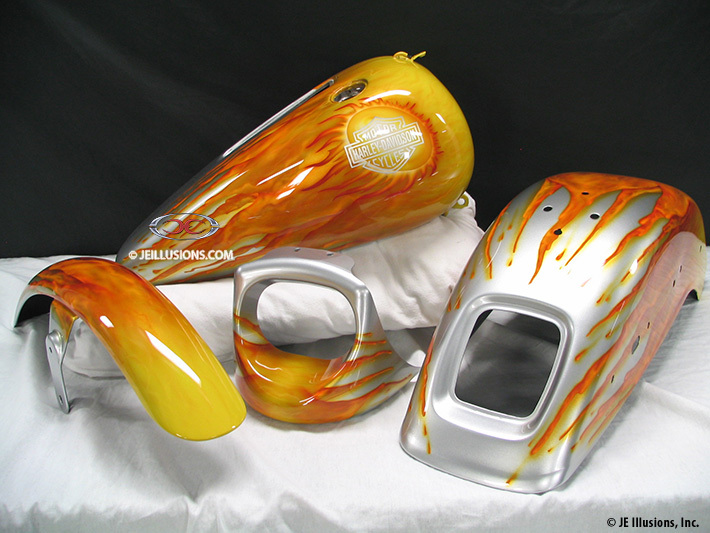 From there, it has a hand air-brushed erupting volcano burst coming off each side of the tank with the molten lava streaming down the sides, and fenders. 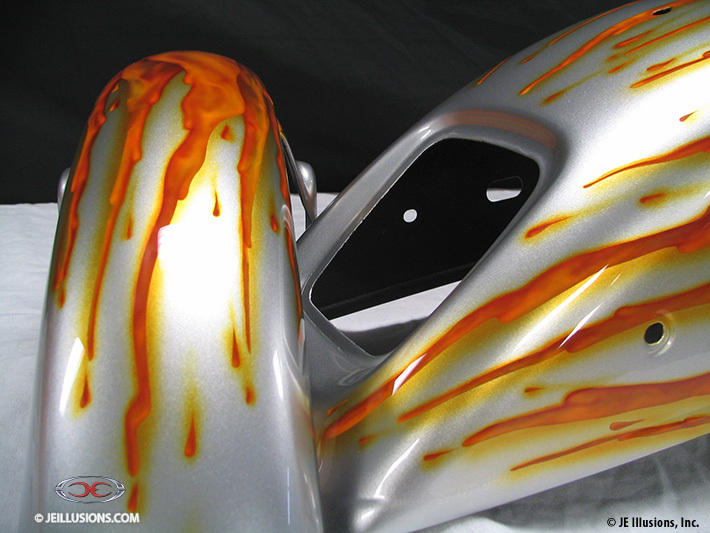 The lava effect uses a combination of kandy yellow & orange with a touch of metallic added in the yellow to add even more depth.